Edge Capital promoted the above executives to partner. Davis is a member of Edge Capital's PM team, Robertson serves as a senior investment advisor, and Sabo serves as co-PM manager for the Blue Current Global Dividend strategy and oversees the firm's research efforts. In addition, Will Skeean, partner and investment management team chair at Edge Capital, has relocated to its Dallas, TX location. Graham was hired by Constellation as managing director of its Regulatory and Compliance Group based in Dallas, TX. 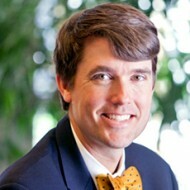 Previously, Graham was employed at FINRA serving as senior regional counsel. MFS has made several changes to its Fixed Income Department. Pilar Gomez-Bravo was named director of Fixed Income in Europe, and Joshua Marston was named director of Fixed Income in North America. Lior Jassur has been named director of Fixed Income Research in Europe, while Melissa Haskell has been named director of Fixed Income Research in North America. A list of employees with roles entitled director of corporate research, high-yield, emerging market, and municipal research positions also in North America will report to Haskell. In addition, Sean Cameron will assume the position of fixed income strategic solutions analyst, a newly created role at MFS. Michael Pandolfi has been named director, associate research, and will also lead the newly created mentoring program. Lastly, new PM roles have been assigned, effective April 5. Faul was appointed director of research at LM Capital, effective early May. Previously, Faul was previously employed at Calvert Investments where he served as head of credit research. Robbins was nominated to BlackRock's Board of Directors. Previously, Robbins served as Chief Executive Officer at Cisco Systems. Latini was appointed as executive director for relationship management at MUFG where he will manage relationships with existing clients in its alternative asset servicing platform. Previously, Latini was employed at ENSO Financial Analytics, where he served as director of US sales. Khan was appointed as senior quantitative analyst on April 3. Previously, Khan was the Honeywell Professor of Accounting at the University of Minnesota. Morrow will retire from Fidelity in Toronto as PM, effective December 31, 2017. Currently, Morrow manages manages Fidelity U.S. Dividend Fund, Fidelity U.S. Dividend Registered Fund, Fidelity U.S. Dividend Private Pool and Fidelity U.S. Dividend Investment Trust, along with other responsibilities.